Once, long ago, becoming a school teacher was a worthy and socially respected goal. Norman Rockwell’s wonderful portrait of “Happy Birthday, Miss Jones” was the cover of the Saturday Evening Post, March 17, 1956 issue. That was almost 60 years ago. 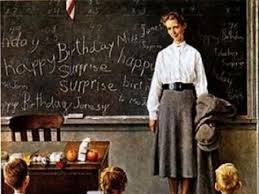 The reason Rockwell’s portrait is out-of-date is not the blackboard, now replaced by whiteboards – but the love shown by students for their teacher. It’s largely gone. A new study by the OECD, known as TALIS (Teaching and Learning International Survey) questioned over 100,000 lower secondary school teachers and 6,500 principals, from 34 countries. A Google search on “TALIS OECD” will bring you to it. Society no longer values the work of teachers, in the perception of the teachers themselves. Only about 5 per cent of French and Swedish teachers said “society valued their work”. In the U.S., the proportion was only about one-third. This contrasts with 68 per cent in Singapore. The head of the schools division at OECD, normally understated, said the results were ‘shocking’. Why do Singaporean kids score so high on international tests in math, science and literacy? Smaller classes? Better methods? Sure … but also, because in Singapore, teachers are respected and valued, hence bright people choose teaching as a profession. Who wants to pick a profession that nobody values? Teaching then becomes a last-choice default, rather than a first-choice priority. For a majority of surveyed countries, “few attract the most experienced teachers to the most challenging schools [more than 30 per cent of the students are from low socioeconomic backgrounds]”, said one of the study’s authors Julie Belanger. In other words, as a teacher gains seniority, he or she uses it to teach in a ‘desired’ school rather than in a tough one. That leaves the younger less experienced teachers to deal with the tougher schools. It should be the opposite. Large numbers of teachers face imminent retirement; teachers’ average age is 43. Teachers have an average of 16 years teaching experience. 68% of all teachers are women, but 51% of principals are men. Why??? What makes a man qualified to be principal, just because of his gender??? In our capitalist business-model approach to schools, where productivity is measured by test scores, teachers become trainers, rather than educators. No wonder we don’t respect them. According to the TALIS study, 93% of teachers report “students should be allowed to think of solutions to a problem themselves before teachers show them the solution”. Nearly half of all teachers report they frequently have their students work in small groups. Do we truly value how teachers spur creativity in our kids, rather than how they train them to excel in tests? If Norman Rockwell were to draw “Happy Birthday, Miss Jones” today – it would look a whole lot different. And a whole lot worse. The TALIS study should ring alarm bells. Quality education is NOT principally about resources, budgets, or even class size. It is about teachers – finding motivated, creative people who choose education as a first choice, and who thrive because they are respected and valued. If society were to highly value teaching, that alone would partly compensate for current low salaries. But low respect, and low salaries, together are lethal. Despite the fact that society does not seem to value what they do, most teachers do love their jobs and would choose teaching again as a career, if they had to. Amazing? indeed. 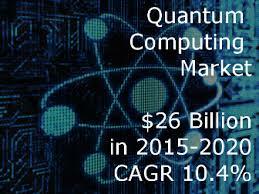 The visionary physicist Richard Feynman first proposed quantum computing in 1982. Initial research was funded by DARPA (America’s defense department) and America’s National Security Agency. Note how often governments fund pioneering basic research that later changes the world! Microsoft’s visionary research is highly risky, simply because “the typic of exotic..particle needed to generate qubits has not been definitely proved to exist”. Wow.. Go Microsoft! After decades of missing every trend and opportunity, including the Internet, Microsoft is now working on something that does not even exist (for sure). What a change! But here’s the best news, especially for busy women. One day, you can be in two places at once. You can drive the kids to soccer, while you’re 600 miles away pitching to a potential new client. You can spend quality time with your spouse, while writing up a new ad campaign for Unilever. On second thought, this is no breakthrough – I know many women, including my wife, who are already qubits. They multi-task so easily, so fluidly, that they don’t even need qubits. I urge Microsoft researchers to study these multi-tasking women. If they do, they will quickly find those elusive quantum particles; women have tons of them. It’s us MEN who need them. 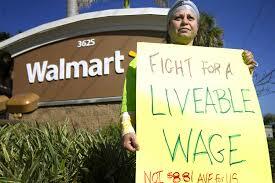 Reverse Privatization: Let Us Share Wal-Mart’s Profits, We Created Them! Two seemingly unrelated pieces appear in today’s Global New York Times. But they are intimately connected. David Jolly reports that the board of the French industrial conglomerate Alsthom unanimously backed General Electric’s bid to acquire Alstom for $13.5 b. Initially the Socialist French government led by Francois Hollande opposed the takeover. It then changed its mind, after Siemens and Mitsubishi made a bid. France’s economy minister Arnaud Montebourg said that a condition of allowing GE to buy Alstom, was that the Agence des Participations de l’Etat, the French government’s national shareholdings agency, should acquire 20 per cent of Alstom stock. Suppose, just suppose, we tried ‘reverse privatization’. Privatization means, the government sells its interest in companies it once owned to private investors. This has happened all over the world. In Russia, oligarchs snatched control of state-owned assets and become instant billionaires. Reverse privatization means, the government buys (not SELLS) an interest in companies, for the benefit of ordinary people. If the GE Alstom merger succeeds, the French people will own 20 per cent of the profits. Moreover, with 2 out of every 10 seats on the Board of Directors, the French government will have access to inside information and will be able to influence hiring and wage policies of Alstom. Alstom/GE will be run by top managers, not by government. 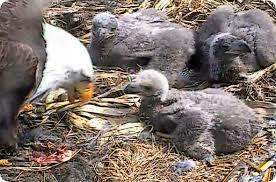 But government will oversee and share in the profits. What if, just suppose, what if, the U.S. government had a 20 per cent stake in Walmart? First, that means $3.4 b. share in the total $17 b. in profits. That would go a long way to paying for the $6 b. of public assistance that Walmart workers get. More and more capital is concentrating in fewer and fewer hands. What is the solution? Put some of that capital, as shares, into the hands of a government holding company, so that some of the profits get funneled not into the well-padded pockets of the super-rich, but into the empty pockets of ordinary citizens. Reverse privatization. The French get it. Why don’t we? Einstein taught us that the key to true creativity is how you frame questions, not how you come up with answers. The question we usually assume that launches innovation is: What? But rarely do we ask When??? In Israel, years ago, afternoon newspapers innovated simply by printing their newspapers and delivering them at 6 a.m. British Airways once tried serving meals on the ground, before the long flight, so people could simply go to sleep on the plane. If you find a way to deliver a known liked product at a different and unusual time – this can be a powerful innovation. Here is an example. Two young entrepreneurs, Matthew Brimer, 27 and Radha Agrahal, 30, are ‘edu-preneurs’. They are engaged in educational technology. Their company General Assembly offers on-line classes, workshops, programs and education ‘in the most relevant skills of the 21st C.’. They had the idea of creating ‘morning raves’ – get-togethers held at 7 a.m., for two hours, before heading to work. Daybreaker parties have no drugs, liquor or other substances. What do you do? Mingle, chat, and dance. Why no alcohol? “The idea is not to flood the senses with external influences but to stimulate them through natural means. Through the music and body movement. All the senses are engaged.” In other words – you don’t need junk or booze to get high. 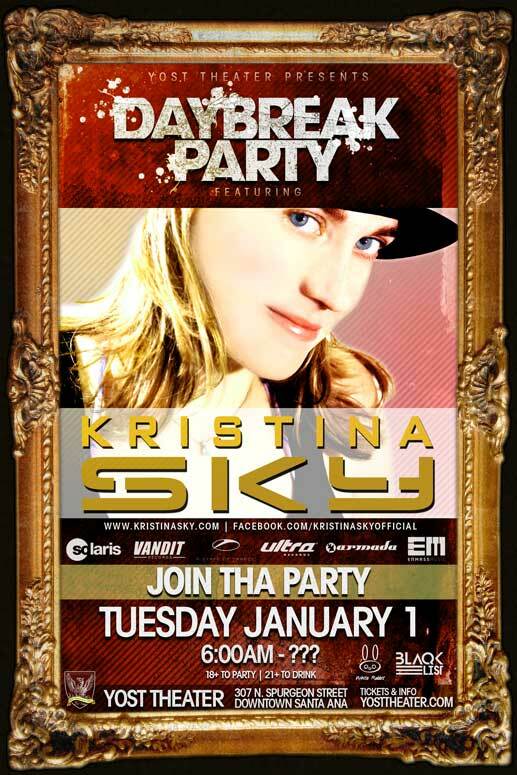 The parties are held monthly, midweek (usually Wednesday), each time at different locations, to those who signed up earlier by email. The idea is spreading from Silicon Alley (most of the participants are in high-tech, are young and without kids, so no need to make kids’ sandwiches and get them on the school bus), and it started in New York City and is spreading to London, San Francisco and Tel Aviv (it debuts in Tel Aviv this summer). Parties have existed for thousands of years. Change the time from midnight, to 7 a.m. – and you have an innovation. What else can you innovate, by taking something loved, with a set time, and shift the time completely? Collective Genius: The Art and Practice of Leading Innovation, (Harvard Business School Press) was written by Prof. Linda Hill, the Wallace Brett Donham Professor of Business Administration, with Greg Brandeau, former CTO of The Walt Disney Studios and current COO/president of Media Maker; Emily Truelove, a PhD candidate at MIT’s Sloan School of Management; and Kent Lineback, Hill’s cowriter on her earlier book Being the Boss: The 3 Imperatives for Becoming a Good Leader. Here is the ‘boldest’ example of innovative leadership and teamwork, according to Hill. It comes from India. Big organizations ALL have trouble innovating. Perhaps Linda Hill’s new book will help them figure out why and find a workable solution. For most of us, 2013 was yet another hard year. The U.S. and EU economies were either in recession or barely growing. Unemployment remains high; the job market, weak. China faces slowing export growth and a housing bubble. But it was a super-great year for HNWI’s, the Wall St. euphemism for the rich and super rich (High Net Worth Individuals), who are the focus of a huge and profitable industry known as ‘wealth management’. And wow, is there ever a lot of wealth to manage. According to the Boston Consulting Group’s Global Wealth 2014 report, global private financial wealth grew by nearly 15 per cent last year and now totals $152 trillion, more than double world Gross Domestic Product. Wealth multiplies with ease, even when the rich do not actively work at it. Microsoft founder Bill Gates, 58, is the world’s wealthiest person, with net worth of $78 b., even though he has spent most of the past few years giving his money away. His Microsoft shares continue to generate more and more billions in wealth for him, even though he resigned as Microsoft Board Chair in February. Capital has boomed because of urbanization and rising real estate prices, rising share prices, vast amounts of new money printed by central banks everywhere and loaned at low interest, and new capital markets in emerging nations, creating assets where none existed before. Global private wealth boomed last year because investors put money into the stock market and stock markets rose sharply. Wall Street broke all records and closed the year 23.8 per cent higher. 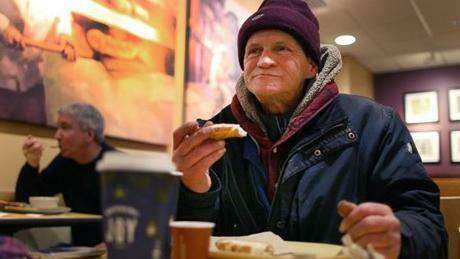 The wealthy have capital and so quickly accumulate more of it; the poor do not. The capital of the rich grows exponentially. The income of the poor stagnates. This is inherently unfair. But can’t the poor rise to wealth, by hard work and saving? The American “Horatio Alger” rags-to-riches myth is just that, according to the Equality of Opportunity Project, led by Harvard and Berkeley economists. This study found that an American child born in 1971 to parents in the poorest fifth of the income distribution had an 8.4% chance of making it to the top quintile. For a child born in 1986 the odds were 9%, basically the same. In other words, in the U.S. you have less than a one in 10 chance of rising from poverty to wealth, and it’s been that way for nearly two generations. You need to be fairly rich to go to good schools and to be accepted to good universities. In contrast, in Denmark, the probability of climbing from the bottom quintile to the top one is double that of America. If you want rags to riches, you’d better be born in Scandinavia. If the democratic system cannot repair itself, because the super-rich control the system through high-paid lobbyists and donations to politicians — what other solution is there? The French Revolution, 1788-1804, used the guillotine; that did not work out too well for anyone and ultimately brought a dictator-emperor named Napoleon, who destroyed Europe. The rich are different. They have money, and when they invest it, it multiplies rapidly. At 8 per cent compound interest, wealth doubles every nine years. There is nothing wrong with being rich. But when extreme wealth perpetuates itself in the manner now occurring worldwide, poverty perpetuates itself too. Trickle down? It’s a myth, too. The rich use their wealth to make a whole lot more of it, with ease. That process does not seem to help working people much. Unless people of good will everywhere, rich, middle-class and poor, get together to resolve this dilemma, society is simply going to fracture, perhaps violently. And that won’t be good for anyone, rich or poor. Can you believe a 696-page boring economics book, Capital in the 21st C., is the #1 Amazon best-seller, and one of Harvard University Press’s (Belknap) all-time best-sellers? And can you also believe very few people have actually ploughed through this tome? And that people constantly mispronounce the author’s name: He is French, and his name is toh-MA pi-ke-TTY, rhymes with bring me TEA! 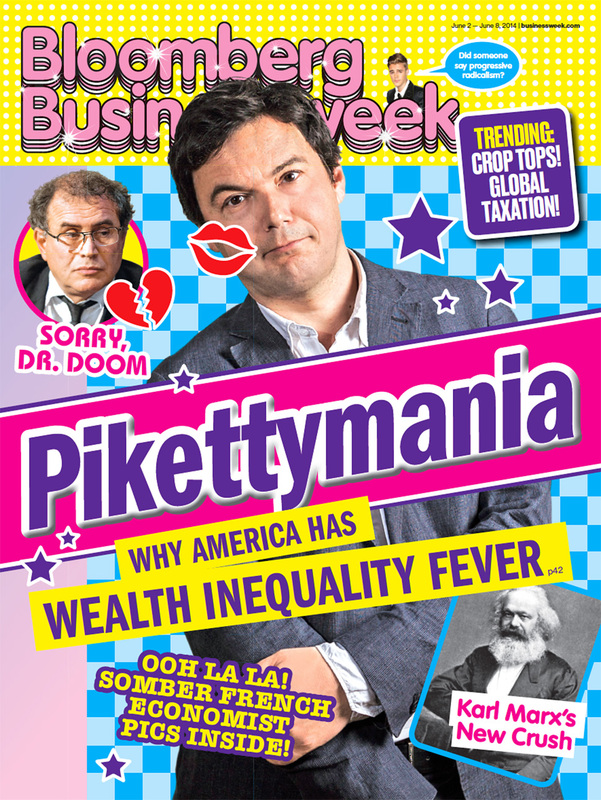 Bloomberg Business Week has devoted an entire issue to Piketty, his arguments and his criticics, including Chris Giles (Financial Times) and two respected macro-economists, Per Krusell and Tony Smith. (See: http://www.businessweek.com/articles/2014-05-29/pikettys-capital-economists-inequality-ideas-are-all-the-rage ). As a service to my readers, and to prevent a widespread narcolepsy epidemic (the malady that causes people to fall asleep in daytime), here is a very short summary of the ongoing debate. What does Piketty claim? Simply – that “Beta” (the ratio of capital to income, for nations) initially fell, but in recent decades has risen. This is because the fraction of income saved (which is what leads to capital accumulation) exceeds the rate of growth of income or GDP. So what? People who own capital can earn high return on their wealth, averaging 8 %; this doubles their wealth every 9 years. People who spend their income (most of us working people) fall into debt and fail to accumulate wealth. So what? People with great wealth gain control of the democratic system, to perpetuate their wealth through tax breaks. 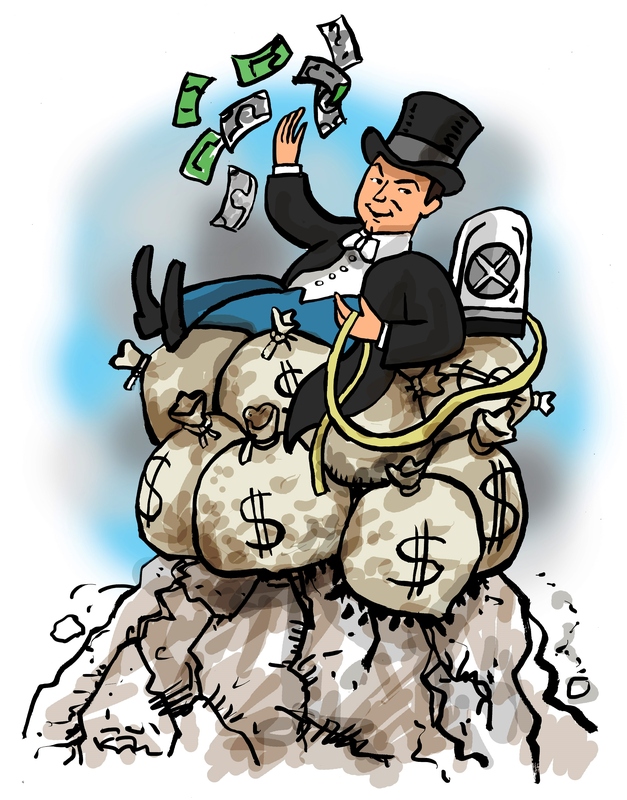 The growing concentration of wealth in fewer and fewer hands cannot be corrected by the democratic system (the vast majority, who have no wealth), because the super-rich use their wealth to manipulate the democratic system. 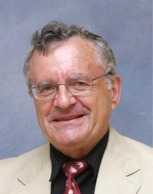 Americans do enjoy many features central to democratic governance, such as regular elections, freedom of speech and association, and a widespread (if still contested) franchise. But …in the United States, our findings indicate, the majority does not rule—at least not in the causal sense of actually determining policy outcomes. When a majority of citizens disagrees with economic elites and/or with organized interests, they generally lose. Moreover … even when fairly large majorities of Americans favor policy change, they generally do not get it. On many issues, say the authors, the rich exercise an effective veto. If they are against something, it is unlikely to happen. So here is where things stand. Wealth grows faster than income. Wealth concentrates in fewer and fewer hands. Wealth corrupts democracy. Marx predicted that the concentration of wealth would grow so intolerable, that the proletariat would revolt. If the democratic system cannot repair itself – what other solution is there? Today’s Global New York Times (June 5/2014) has a fine column by Eduardo Porter. 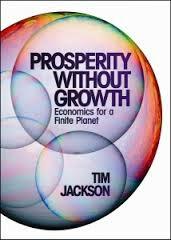 He refers to Prof. Tim Jackson’s 2009 book, Prosperity Without Growth, and Jackson’s back of the envelope calculation. It shows a bitter truth: The macroeconomic assumption, that continual perpetual growth in GDP per capita is both good and feasible, cannot be sustained. We have to have policies that seek a stable level of per capita GDP, while redistributing wealth and income from rich countries to poor — a very tall order. Here is the simple arithmetic. Assume that developing nations citizens are entitled to roughly the same level of per capita income as Europe, by 2050 (that’s 36 years away, about a generation and a half!). By then there will be 9 billion people in the world. If we want to keep the Earth’s temperature from rising more than 2 degrees C. (3.6 degrees F.) above what it was before the industrial era [in order to prevent violent, unpredictable environmental upheavals], then: the world can emit at most 6 grams of carbon dioxide for each dollar of GDP it produces. Hmmm… Advanced nations emit 60 times that much, at present! Developing nations emit 90 times that much! If we want to eradicate poverty (we do) and save our planet (we do), we are going to have to reduce carbon emissions by an order of magnitude. A very tall order, one that will take massive investment of resources, huge creativity, a pro-environment mindset, global cooperation, and a wide variety of new technologies. President Obama’s new proposal, for limiting carbon emissions, falls far short of what is needed, and even THAT could be sabotaged by Congress (though Obama claims he will implement it as an executive order). Is no-growth economics possible for rich countries? It is. Look at Japan. Despite Japan’s huge efforts, its per capita GDP has grown very little for two decades. Yet Japan remains a prosperous country, with a high living standard. Is Japan a natural experiment, showing that zero growth is not only possible, but desirable – provided we change our mindset? I’m afraid that my generation is delivering a ruined planet to the younger generation. They have the right to put us all in jail for this. When I’m next in America, I plan to eat at Panera. Let’s support capitalists who get it, and who build businesses on the idea that people are basically trustworthy. This idea could spread. What if businesses charged according to “pay what you can” and “pay what you think is fair”, rather than “pay as much as we can gouge from you, to keep our rich shareholders happy”? Wall St. might never be the same.